Rich amber in colour with notes of anise, peach and raisin, finishing with honey aromas. A good mixing bourbon sure to please the whole party. 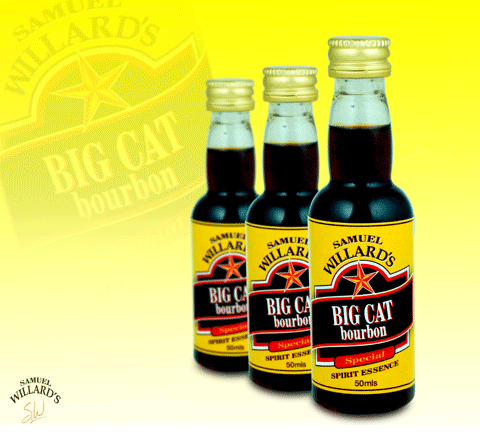 Samuel Willard’s Big Cat Bourbon essence produces 2250mL of spirit from each 50mL bottle.